We, the Capuchin Brothers belong to the Franciscan Family that has St. Francis of Assisi, a man of peace and ecological passion as its founder. Capuchin Brothers today are known for their simplicity, prayer life, preaching, healing ministry, counseling, social work, free legal aid and other animation programs. Our presence has a longand beautiful history around the globe and particularly in Tamil soil. 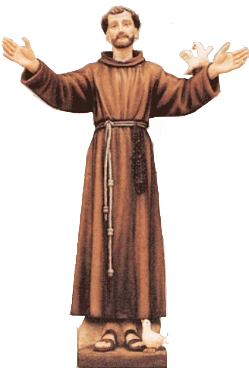 We the Franciscan Capuchins are serving in Tamilnadu and Pondicherry for the past 380 years (1632-2012) in various capacities and shared the message of Jesus Christ’s love envisaged by St. Francis of Assisi. 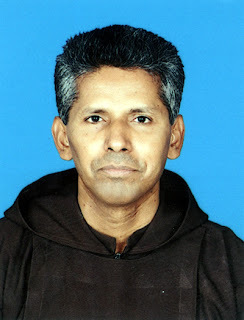 The first religious to come into Tamilnadu is a Franciscan namely John of Monte Corvino in the year 1291-92. and thus the Franciscans were the first Catholic Religious to come to Tamilnadu, particularly to Madras-Mylapore. The special touch of Franciscans is to reach to the remote places, help the people there to come up in their lives and give God’s love unconditionally living in harmony with one another and protecting the Mother Earth. Our brothers also learned from the local culture whatever was beautiful and enlightened the people further on healthy natural living. Therefore almost for eight centuries (720 years) our Franciscan Presence I India has helped for the holistic development of the people of this soil (1292-2012). From 1972 onwards Amala Annai Tamilnadu Capuchin Province began to reach out to people in service. I am glad to inform you that our province is going to be further bifurcated into two Jurisdictions namely North & South Tamil Capuchin Provinces on 25th April 2012. It will have the following dioceses: Dindigul, Madurai, Sivagangai, Tuticorin, Palayamkottai, Kottar, Coimbatore and Ooty. (Head Quarters at Thirumangalam, Madurai-under the Patronage of Our Lady of Queen of Peace). The Presence of our Very Rev, Fr. Mauro Jhri, our General Minister, Rev. Fr. John Antony our Definitor General and the presence of Capuchin Provincials, delegates & leaders from different countries and jurisdictions brings to us. I gratefully remember all those pioneering Capuchin brothers who implanted the Franciscan message in this land. I thank our Bishops, Franciscan family members, friends, benefactors, well-wishers and all those who support us! Minister Provincial, Amala Annai Province, Tamilnadu.